Nelda is an influencer of the Florida real estate landscape with a long history of proudly serving her customers and beloved Manasota Key community with the highest level of integrity and excellence. A fifth-generation Floridian on both her mother and father’s sides, Nelda Thompson is equal parts entrepreneur and civic servant with roots in Englewood dating back to 1969. Perhaps instilled early on fro... more.m her grandfather and father, who both served in the Florida Senate, Nelda has dedicated her life to helping others and maintaining an honest professionalism in every avenue she has chosen – and there are many. For this reason, it is no surprise that Nelda’s compassion and natural leadership initially lead her to obtain a BAE in Elementary Education from the University of Florida followed by a 10-year career as an educator. It was only after a friend’s observation of her natural prowess in building meaningful connections within the community that Nelda transitioned into real estate. Since beginning her career with Michael Saunders & Company in 1985, Nelda has helped shape the industry on Manasota Key, developing extensive local knowledge and being the face of her own independent brokerage, Nelda Thompson & Associates, for nearly 30 years. Her focus on Manasota Key, where she has lived since 1980, goes beyond the service she provides her customers. 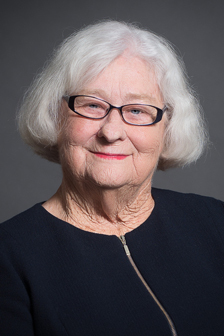 Not only has she served on the Venice Hospital Board for 25 years, but her passion for Old Florida architecture and the arts resulted in the forming of The Hermitage Artists Retreat, a conservancy dedicated to nurturing creativity, preserving historic sites, protecting native ecology and advancing the Gulf Coast community. As a company founded by another strong-willed disruptor, we are thrilled to have Nelda back within the Michael Saunders & Company fold.